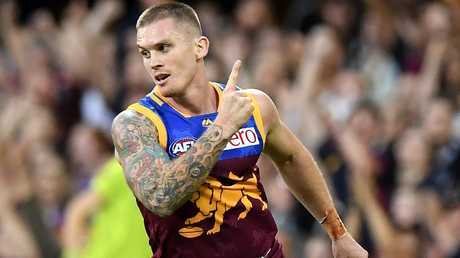 What are Dayne Beams and Lachie Neale worth in trades? THERE is a bright future ahead at Brisbane. The club has undergone a long rebuild but this season, despite the early poor win-loss record, the Lions took great strides forward in their development. The Lions finally received some reward for effort in the back end of the year, winning four of their 10 matches after the bye, with the 33-point smashing of Hawthorn in Launceston the pick of the bunch. Throughout the year Brisbane suffered close losses to North Melbourne (three points) Port Adelaide (five points), Adelaide (five points), Gold Coast (five points), Collingwood (seven points) and Western Bulldogs (14 points) - so their record at the end of the season could have read a lot better than five wins and 17 losses for a 15th finish on the ladder. Those results tell me this young group is maturing, developing and in the very near future, potentially even next year, can challenge for finals. Lewis Taylor has rediscovered the form that saw him win the Rising Star award in 2014, Tom Cutler has found his position as a midfielder/half forward, Darcy Gardiner was good down back, Allen Christensen got himself fit and contributed on the field and Daniel McStay impressed as a key forward. 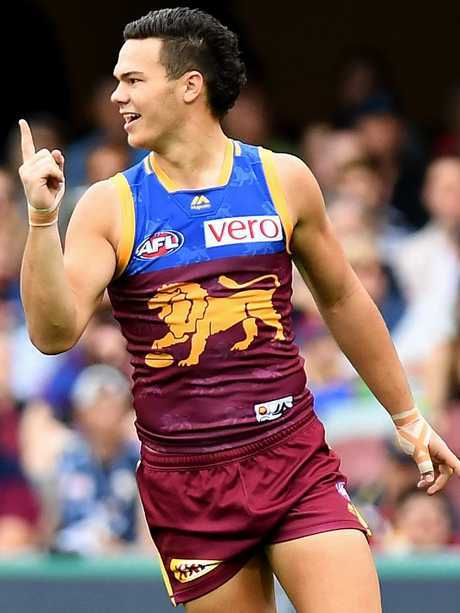 Fagan also hasn't been afraid to throw rookies such as Oscar McInerney and Matt Eagles into the AFL cauldron and the move paid dividends, with both showing good traits at senior level and that there's plenty for the Lions to work with as potential good players for the future. The year-on-year improvement at Brisbane is clear for all to see through these players, which is exactly the type of development we were all expecting, but didn't get from, Carlton. The recruitment of champion Luke Hodge was also a masterstroke and I've got no doubt his on and off-field leadership combined with his work rate and training standards is driving this young group and helping to create and nurture the elite culture of professionalism, hard work, commitment and sacrifice it takes to be successful. The challenge for Brisbane and its young and experienced players now is to build a winning culture and turn those six close losses into wins. That's the difference between finishing bottom four and being on the cusp of a potential finals berth. 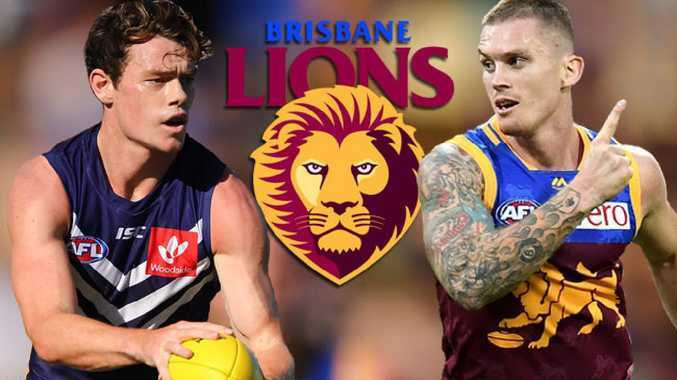 The Lions are one of the key players this trade period with a deal for Fremantle's Lachie Neale and former captain Dayne Beams two of the biggest headlines. The situation with Beams is difficult in particular given he wants to return to Melbourne for personal reasons but still has two years to run on his contract. The fact is, however, that Beams will be 29 by the time the 2019 season begins so that adds a question mark to his trade value. He's still a star midfielder, so I think a later first-round pick would be a fair trade. The fact he is at the latter end of his career hurts the Lions' ability to push for more in a trade, in my opinion. 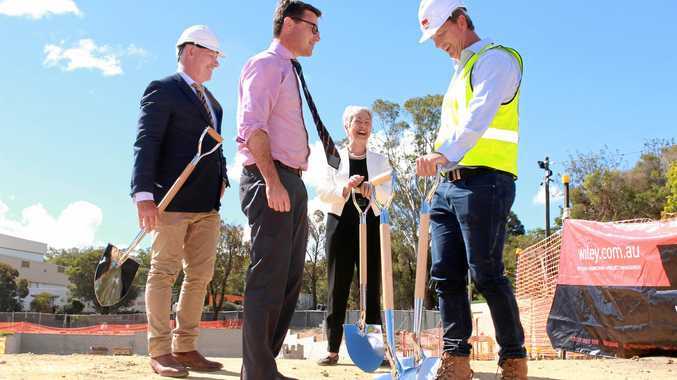 If Collingwood is feeling generous, however, they could throw in their future second-round pick as a sweetener, which would be a good deal for Brisbane. I'd take it. If the Lions do lose Beams, securing Neale will definitely soften the blow and the bonus is he's three years younger than Beams and has just entered the prime of his career at 25 years of age. 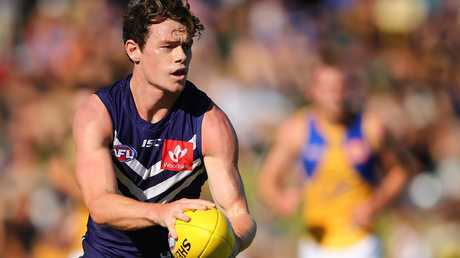 Neale also has leadership qualities and should be able to help mentor the younger players from the start after being part of Fremantle's leadership group for the last two years. The Dockers want two top-20 picks for Neale but I think that's overs. There's no doubt pick No.5 has to be involved - Neale is a gun midfielder who has won multiple best and fairest awards, so he's worth that investment. But what else do the Lions give up? That's the sticking point. Pick No.5 and a second-round pick would be a fair trade in my opinion. Obviously the biggest need at Brisbane is for every player on the list to keep working hard to improve and develop their game so that gradual improvement we've seen year on year continues. The Lions list has a good mix of key position talent and small forwards after the very handy addition of former Crow Charlie Cameron last year, so it's midfield and halfback that should occupy the club's attention this off-season. There is quality in the middle with A-graders Beams (if he stays) and Dayne Zorko and McCluggage, Berry and Rayner have shown they're future stars but I believe they do need more depth through this area, particularly inside midfielders who can also spread from the contest. Adding another two or three quality players into the midfield will really give Brisbane a dynamic and formidable mix. There is good flexibility in most positions down back with Andrews and Gardiner and now even Josh Walker as key defenders but I think the Lions are lacking line-breaking speed off halfback. Highly-rated youngster Cedric Cox could be this type of player in the future. Daniel Rich's season this year was better but he still has a way to go to display the form of years gone by that had most believing he'd become a star of the competition. He's got a lethal boot on him, so his creativity and ability to hit targets other players can't will be critical in Brisbane's push to rise up the ladder. His team needs more from him on a consistent basis. He and Witherden can be a lethal duo off halfback and through the midfield. Zorko had an interesting season. He really struggled with being tagged early, then fought through it, then didn't cover himself in glory in the QClash as Sun Touk Miller got hold of him again. As captain, Zorko must display the qualities he wants his team to be known for rather than being caught up in on-field drama. The challenge for him over the summer will be to work hard with the coaches on tips and tricks, including work ethic, which he can use to beat the tag no matter the tactics from opposition players. Dayne Zorko and Touk Miller clash. Where is Sam Mayes at with his footy? 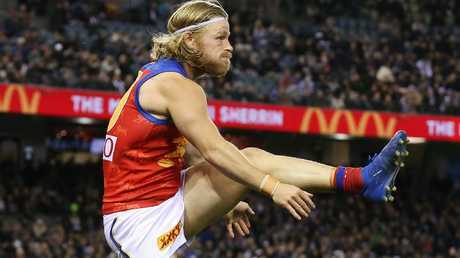 He was a high draft pick (pick No.8 in the 2012 national draft), the Lions fought hard to keep him a few years ago when there was talk he wanted to head home to South Australia and yet he has been overtaken in the pecking order by his younger teammates, playing just six AFL games this year. He is open to a trade but it doesn't sound like there are any takes, which is telling. If he remains at Brisbane that should serve as a serious wake-up call. Whichever club he plays for next year, he needs a big summer on the track and must commit to working hard on his game and his consistency to win back his spot in the team. His career is at the crossroads. Brisbane should be a much harder team to beat in 2019 but that does depends on the continued development of its young players, combined with luck on the injury front. The Lions should at least be in the finals conversation at various stages of the season but a finish between 9-14 is probably more realistic. At the very least, with this list the Lions should be playing finals within three years.